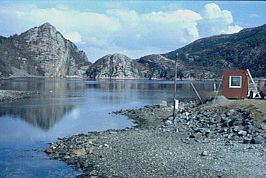 Field station at landlocked bay with narrow, tidally-driven inlet ideal for studying ecology in combination with hydrodynamics. Current (1m3/s), waves (0.3m) and rainfall in fresh or saline water for sediment transport in rivers, estuaries or coasts. PIV & LDA. Supports plants and animal experimentation. A versatile and multifunctional facility for physical experiments, especially concerning water and soil interactions.